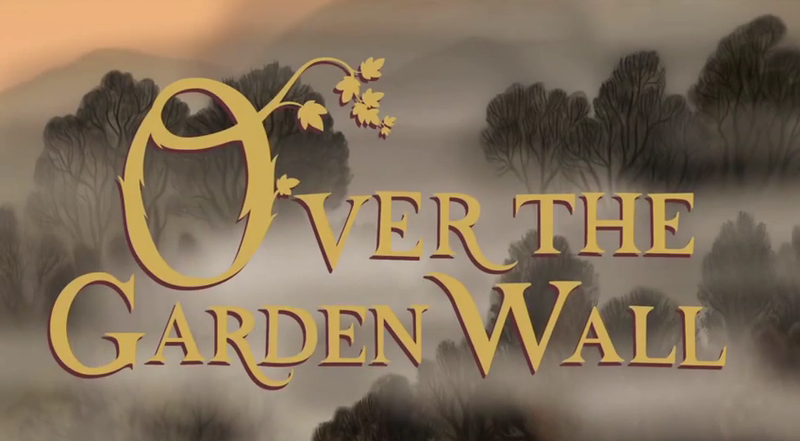 This is the second part of "Myths and Meanings of Over the Garden Wall." Read the first part here. Just as a reminder: here be spoilers. By the way, I forgot to point this out before, but after every title card, there is the distant sound of a train whistle. This, like everything else, is foreshadowing. Summary: Wirt, Gregory (and his frog), and Beatrice stumble across a school run by Miss Langtree where all the students are animals. Miss Langtree's father, who paid for the school, is displeased with it however and threatens to shut it down. Also, there's a gorilla on the loose! References: The term "follies" refers to a type of broadway/cabaret-type show, popularized by Ziegfeld Follies. The song Gregory sings, "Potatoes and Molasses," was inspired by (and bears a resemblance to) the Shirley Temple song "Animal Crackers in My Soup" from the movie Curly Top. The name "Langtree" is derived from Old English meaning "long tree" (of course). It's also the name of several places in England and several schools. By the way, if you listen to the entirety of "Langtree's Lament," you will find out that Miss Langtree's true love, Jimmy Bee, who broke her heart by leaving has only been gone three days. The anthropomorphic animal students of the school are references to Richard Scarry's Busytown, a town full of anthropomorphic animals. "Chapter 4: Songs of the Dark Lantern"
References: The Highwayman Song above is a clear reference to the Betty Boop Minnie the Moocher cartoon with Cab Calloway. The bartender of the tavern even looks and sounds like Betty Boop. The people in the tavern try to peg Wirt as a stock character - first as the "Young Lover," then as as "Pilgrim" (they assume he's on the Quest). Wirt doesn't actually fit into either archetype - although the closest would be the Everyman - he does end up having elements of both. He pines for a "lost love" and does end up on doing several quest-like things. Summary: Wirt, Gregory, Beatrice, and Fred the Horse end up at the mansion of Quincy Endicott (John Cleese) because they need money for the ferry ride to Adelaide's pastures. Endicott is a little...unbalanced, however. In fact, he believes that he's in love with a ghost. References: the title Mad Love has been used quite a bit, most famously for the 1935 horror film Mad Love and the Harley Quinn origin story "Mad Love." The title comes from the French phrase amour fou, more accurately "insane love," which means an obsessive or uncontrollable passion. Beatrice says that they only need two pennies to take the ferry to Adelaide's pasture. This is another indication that they are in some sort of afterlife — two coins placed on the dead's eyes were said to pay for Charon the ferryman in order to cross the rivers Styx and Acheron and reach the land of the dead. Next: the gang travel on a ferry filled with frogs, finally meed Adelaide, and things fall apart. Stay tuned for part three.